Acute Zika virus infection after travel to Malaysian Borneo, September 2014 / D. Tappe, S. Nachtigall, A. Kapaun [et al.] // Emerging infectious diseases. – 2015. – Vol. 21. – P. 911-3. Aedes (Stegomyia) albopictus (Skuse): a potential vector of Zika virus in Singapore / P.J. Wong, M.I. Li, C. Chong [et al.] // PLoS neglected tropical diseases. – 2013. – Vol. 7. – Art. e2348. Aedes hensilli as a potential vector of Chikungunya and Zika viruses / J.P. Ledermann, L. Guillaumot, L. Yug [et al.] // PLoS neglected tropical diseases. – 2014. – Vol. 8. – Art.e3188. 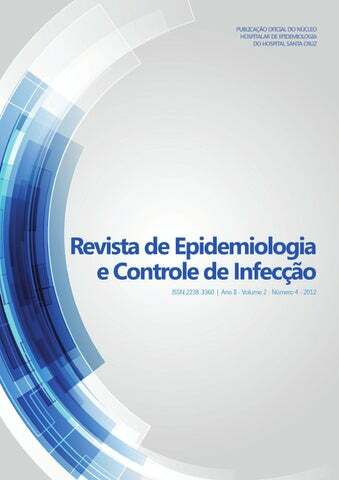 Cipriano, R. A report about Zika virus in Brazil / R. Cipriano // Revista de Epidemiologia e Controle de Infecção. – 2016. - Vol. 6. – P. 1-4. Co-infection with Zika and dengue viruses in 2 patients, New Caledonia, 2014 / M. Dupont-Rouzeyrol, O. O'Connor, E. Calvez [et al.] // Emerging infectious diseases.- 2015. – Vol. 21. - P. 381-2. Complete coding sequence of zika virus from a French polynesia outbreak in 2013 / C. Baronti, G. Piorkowski, R.N. Charrel [et al.] // Genome announcements. - 2014. – Vol. 2. – Art. e00500-14. Deltamethrin resistance mechanisms in Aedes aegypti populations from three french overseas territories worldwide / I. Dusfour, P. Zorrilla, A. Guidez [et al.] // PLoS neglected tropical diseases. - 2015. - Vol. 9. - Art. e0004226. Detection of Zika virus in urine / A.C. Gourinat, O. O'Connor, E. Calvez [et al.] // Emerging Infectious Diseases. – 2015. - Vol. 21. – P. 84-6. First case of Zika virus infection in a returning Canadian traveler / K. Fonseca, B. Meatherall, D. Zarra [et al.] // The American journal of tropical medicine and hygiene. – 2014. - Vol. 91. – P. 1035-8. Genetic and serologic properties of Zika virus associated with an epidemic, Yap State, Micronesia, 2007 / R.S. Lanciotti, O.L. Kosoy, J.J. Laven [et al.] // Emerging Infectious Diseases. – 2008. – Vol. 14. – P. 1232-1239. Genetic characterization of Zika virus strains: geographic expansion of the Asian lineage / A.D. Haddow, A.J. Schuh, C.Y. Yasuda [et al.] // PLoS Neglected Tropical Diseases. – 2012. – Vol. 6. – Art.e1477. Genetic diversity and phylogeny of Aedes aegypti, the main arbovirus vector in the pacific / E. Calvez, L. Guillaumot, L. Millet [et al.] // PLoS neglected tropical diseases. - 2016. - Vol. 10. – Art. e0004374. Haddad, S.K. Zika virus and its implication in the transfusion safety / S.K. Haddad, S.N. Slavov, D.T. Covas // Revista Brasileira de Hematologia e Hemoterapia. – 2016. - In Press. Hancock, W.T. Zika virus, French Polynesia, South Pacific, 2013 / W.T. Hancock, M. Marfel, M. Bel // Emerging Infectious Diseases. - 2014. – Vol. 20. – P. 1960. Hayes, E.B. Zika virus outside Africa [Review] / E.B. Hayes // Emerging Infectious Diseases. - 2009. – Vol. 15. – P.1347-1350. Ilheus virus isolation in the Pantanal, West-Central Brazil / A. Pauvolid-Corrêa, J.L. Kenney, D. Couto-Lima [et al.] // PLoS Neglected Tropical Diseases. – 2013. - Vol. 7. – Art. e2318. Immunological evidence of Zika virus transmission in Thailand / N. Wikan, Y. Suputtamongkol, S. Yoksan [et al.] // Asian Pacific Journal of Tropical Medicine. – 2016. – In Press. Impact of climate and mosquito vector abundance on sylvatic arbovirus circulation dynamics in Senegal / B.M. Althouse, K. A. Hanley, M. Diallo [et al.] // The American journal of tropical medicine and hygiene. – 2015. – Vol. 92. – P. 88-97. Infectious Chikungunya Virus in the saliva of mice, monkeys and humans / J. Gardner, P.A. Rudd, N.A. Prow [et al.] // PLoS One. – 2015. – Vol. 10. – Art. e0139481. Jason, C. Zika virus infection acquired during brief travel to Indonesia / C. Jason, D. Julian // The American Society of Tropical Medicine and Hygiene. – 2013. - Vol. 89. – P. 516–517. Laith, Y. Zika virus outbreak in the Americas: the need for novel mosquito control methods / Y. Laith, T. Walker // Lancet Global Health. – 2016. - In Press. Molecular evolution of Zika virus during its emergence in the 20(th) century / O. Faye, A. Iamarino, O. Faye [et al.] // PLoS neglected tropical diseases. – 2014. – Vol. 8(1). – Art. e2636. Musso, D. Rapid spread of emerging Zika virus in the Pacific area / D. Musso, E.J. 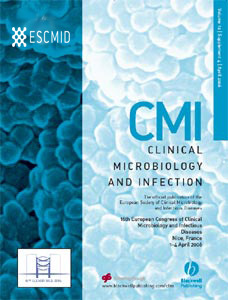 Nilles, V.-M. Cao-Lormeau // Clinical Microbiology and Infection. – 2014. - Vol. 20. – P. 0595-0596. Musso, D. Zika Virus Transmission from French Polynesia to Brazil / D. Musso // Emerging infectious diseases. – 2015. – Vol. 21. – P. 1887. Oral susceptibility of Singapore Aedes (Stegomyia) aegypti (Linnaeus) to Zika virus // M.I. Li, P.S. Wong, L.C. Ng, C.H. Tan // PLoS Neglected Tropical Diseases. – 2012. – Vol. 6. – Art.e1792. Outbreak of exanthematous illness associated with Zika, Chikungunya, and Dengue Viruses, Salvador, Brazil / C.W. Cardoso, I.A.D. Paploski, M. Kikuti [et al.] // Emerging infectious diseases. - 2015. – Vol. 21. – P. 2274. Potential sexual transmission of Zika virus / D. Musso, C. Roche, E. Robin [et al.] // Emerging Infectious Diseases. – 2015. – Vol. 21. – P. 359-361. Probable non-vector-borne transmission of Zika virus, Colorado, USA / B.D. Foy, K.C. Kobylinski, J.L. Chilson Foy [et al.] // Emerging infectious diseases. – 2011. - Vol. 17. – P. 880-2. Quantitative real-time PCR detection of Zika virus and evaluation with field-caught mosquitoes / O. Faye, O. Faye, D. Diallo [et al.] // Virology Journal. - 2013. – Vol. 10. – P. 311. Rapid molecular assays for the detection of yellow fever virus in low-resource settings / C. Escadafal, O. Faye, A.A. Sall [et al.] // PLoS neglected tropical diseases. – 2014. – Vol. 8. – Art. e2730. Retrospective screening of acute undifferentiated fever serum samples with universal flavivirus primers / S. Khongwichit, S. Libsittikul, S. Yoksan [et al.] // Journal of infection in developing countries. – 2015. – Vol. 9. – P. 760. Silent circulation of Ross River virus in French Polynesia / M. Aubry, J. Finke, A. Teissier [et al.] // International Journal of Infectious Diseases. – 2015. – Vol. 37. – P. 19-24. Simultaneous outbreaks of dengue, chikungunya and Zika virus infections: diagnosis challenge in the returning traveler with non-specific febrile illness / E. Moulin, K. Selby, P. Cherpillod [et al.] // New Microbes and New Infections. – 2016. – Vol. 2. – P. 1-5. The usual suspects: comparison of the relative roles of potential urban Chikungunya Virus vectors in Australia / C.C. Jansen, C.R. Williams [et al.] // PLoS One. - 2015. – Vol. 10. – Art. e0134975. Unexpected and rapid spread of Zika virus in The Americas - implications for public health preparedness for mass gatherings at the 2016 Brazil Olympic games / E. Petersen, M.E. Wilson, B. McCloskey [et al.] // International Journal of Infectious Diseases. – 2016. – Vol. 2. – P. 1-5. Wiwanitkit, S. Acute viral hemorrhage disease: A summary on new viruses / S. Wiwanitkit, V. Wiwanitkit // Journal of Acute Disease. 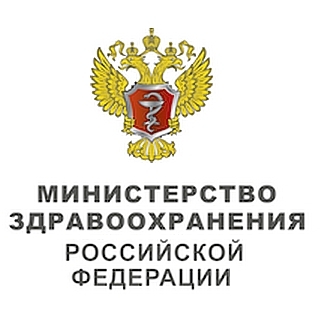 – 2015. - Vol. 4. – P. 277-279. Zanluca, C. Development, characterization and application of monoclonal antibodies against brazilian Dengue virus isolates / C. Zanluca, J. Bordignon, N.D. dos Santos // PLoS One. - 2014. – Vol. 9. – Art. e110620. Zika virus / Anonymous // Emerging Infectious Diseases. – 2014. – Vol. 20, № 6. – P. 1090. Zika virus emergence in mosquitoes in southeastern Senegal, 2011 // D. Diallo, A.A. Sall, C.T. Diagne [et al.] // PLoS ONE. – 2014. – Vol. 9. - Art. e109442. Zika virus in Gabon (Central Africa)--2007: a new threat from Aedes albopictus? / G. Grard, M. Caron, I.M. Mombo [et al.] // PLoS neglected tropical diseases. – 2014. - Vol. 8. – Art. e2681. Zika virus infection in a traveller returning from the Maldives, June 2015 / Korhonen E.M., Huhtamo E., Smura T. [et al.] 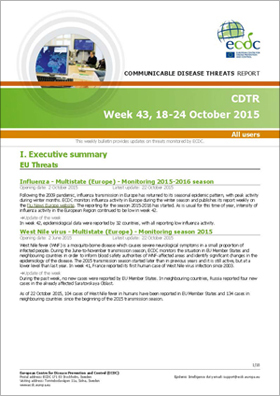 // European communicable disease bulletin. – 2016. – Vol. 21. – P. 1. Zika virus infection, Cambodia, 2010 / V. Heang, C.Y. Yasuda, L. Sovann [et al.] // Emerging Infectious Diseases.- 2012. – Vol. 18. – P. 349-351. Zika virus infection, Philippines, 2012 / M.T. Alera, L. Hermann, I.A. Tac-An, C. Klungthong [et al.] // Emerging Infectious Diseases. – 2015. – Vol. 21. – P. 722-724. Zika virus, French polynesia, South pacific, 2013 / V.M. Cao-Lormeau, C. Roche, A. Teissier [et al.] // Emerging Infectious Diseases. – 2014. - Vol. 20. - P. 1085-1086. Travel-Associated Zika Virus Disease Cases Among U.S. Residents — United States, January 2015–February 2016 / P. Armstrong, M. Hennessey, M. Adams [et al.] // Morbidity and Mortality Weekly Report. – 2016. - Vol. 65. - P.286-289. Zika virus infection during pregnancy: what, where, and why? / R.M. Burke, P. Pandya, E. Nastouli [et al.] // British Journal of General Practice. – 2016. - Vol. 66. –P.122-3. Interim Guidelines for the Evaluation and Testing of Infants with Possible Congenital Zika Virus Infection — United States, 2016 / J.E. Staples, E.J. Dziuban, M. Fischer [et al.] // Morbidity and Mortality Weekly Report. – 2016. - Vol. 65. – P. 63-7. Update: Interim Guidelines for Health Care Providers Caring for Infants and Children with Possible Zika Virus Infection — United States, February 2016 / J.M. Nelson, M. Fischer, J.E. Staples [et al.] // Morbidity and Mortality Weekly Report. – 2016. - Vol. 65. – P.182-187. Zika Virus Infection Among U.S. Pregnant Travelers — August 2015–February 2016 / D. Meaney-Delman, S.L. Hills, C. Williams [et al.] // Morbidity And Mortality Weekly Report. – 2016. - Vol. 65. - P. 211-4. Zika Virus Infection and Stillbirths: A Case of Hydrops Fetalis, Hydranencephaly and Fetal Demise / M. Sarno, G.A. Sacramento, R. Khouri [et al.] // Plos Neglected Tropical Diseases. – 2016. - Vol. 10. – Art. e0004517. Лихорадка зика: состояние проблемы на современном этапе / А. Ю. Попова, Е.Б. Ежлова, Ю.В. Демина [и др.] // Проблемы особо опасных инфекций. - 2016. - № 1. - С. 5-12. Zika virus in the Americas: Early epidemiological and genetic findings / N.R. Faria, U.G. Moritz, R. Souza [et al.] // Science. – 2016. - Vol. 352. – P. 345-349. The 3.8 Å resolution cryo-EM structure of Zika virus / D. Sirohi, Z. Chen, T. Klose [et al.] // Science. – 2016. -Vol. 352. – P. 467-470. Cohen B.J. The race for a Zika vaccine is on / B.J. Cohen // Science. – 2016. – Vol. 351. – P. 343-345. Vogel B.G. Evidence grows for Zika virus as pregnancy danger / B.G. Vogel // Science. – 2016. –Vol. 351. - P.1123-1124. Zika virus impairs growth in human neurospheres and brain organoids / E.C. Loiola, R.M. Costa, P. Trindade [et al.] // Science. – 2016. – Vol. 353.- P. 1-7. Шестакова И.В. Болезнь, вызванная вирусом Зика: новый взгляд на известную болезнь / И.В. Шестакова // Журнал инфектологии. - 2016. - № 1. - С. 5-18. Первый случай лихорадки Зика в России / В.И. Покровский, В.В. Малеев, С.В. Краснова [и др.] // Инфекционные болезни. - 2016. - № 1. - С. 90-95. Внутриутробное инфицирование вирусом Зика вызывает пороки развития ЦНС и микроцефалию: вершина айсберга? / A.S. Oliveira Melo, G. Malinger, R. Ximenes [и др.] // Вопросы гинекологии, акушерства и перинатологии. - 2016. - № 1. - С. 77. Боровкова Е.И. Вирус Зика: новый фактор внутриутробного инфицирования плода / Е.И. 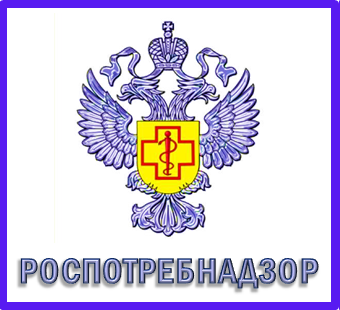 Боровкова // Medicus. - 2016. - № 3. - С. 12-17. Рябинина Л.А. Лихорадка Зика - глобальная угроза здоровью нации / Л.А. Рябинина, Л.П. Кнышова // Актуальные проблемы гуманитарных и естественных наук. - 2016. - № 4-5. - С. 92-93. Обеспечение эпидемиологического надзора и профилактики лихорадки Зика в Российской Федерации / А.Ю. Попова, Е.Б. Ежлова, Ю.В. Демина [и др.] // Проблемы особо опасных инфекций. - 2016. - № 2. - С. 5-10. Assessing the global threat from Zika virus / J. Lessler, L.H. Chaisson, L.M. Kucirka[et.al] // Science.- 2016.- Vol. 353. – P. 6300. Chikugunya and zika virus dissemination in the Americas: different arboviruses reflecting the same spreading routes and poor vector-control policies / Ildefonso Ferna´ndez-Salas, Esteban e. Dı´az-Gonza´lez, Hugo lo´pez-Gatell [et al.] // Current Opinion in Infectious Diseases. – 2016. – Vol. 29. – P. 467–475. Calvet, G.A. Zika virus infection: epidemiology, clinical manifestations and diagnosis / G.A. Calvet, F. Barreto dos Santos, P.C. Sequeira // Current Opinion in Infectious Diseases. – 2016. - Vol. 29. – P. 459–466. Rapid development of a DNA vaccine for Zika virus / A.D.Kimberly, Ko. Sung-Youl, M.M. Kaitlyn [et al.] // Science. – 2016. - Vol. 354. - P. 237-240. Кризис в Венесуэле отразился и на системе здравоохранения этой страны. Кризис обострился вследствие политических и экономических перипетий, нехватки лекарств и лечебных ресурсов. Восполнить пробел пытаются американские врачи. Лаборатория Университета Флориды помогает венесуэльским медикам следить за распространением заболеваний у них на родине. Медики Венесуэлы утратили доступ к этой информации после того, как правительство прекратило публикацию подобных данных. «Когда власти прекращают финансирование общественного здравоохранения, ничего хорошего ожидать не приходится, – говорит доктор из Университета Флориды Джон Ледницки. – Заболевания распространяются быстрее, и, в конечном итоге, страдают все жители страны». Всплеск в распространении болезней вызвал тревогу у многих венесуэльских врачей, лишившихся доступа к лабораторным анализам. Поэтому доктор Габриэла Блом из флоридского Гейнсвилля и доктор Альберто Панис-Мондольфи из венесуэльского Баркисимето решили создать «Венесуэльский научный инкубатор» для эпидемиологических исследований и подготовки студентов-медиков. «Мы организовали сбор анализов у пациентов в Венесуэле с подозрением на вирус Зика и их транспортировку в Университет Флориды для лабораторного анализа и диагностики», – рассказывает Габриэла Блом. Врачи из Флориды подтвердили наличие вируса Зика в Венесуэле. По их словам, власти страны обвинили медработников в запугивании людей, запретив дальнейшие тесты. Доктор Блом и доктор Альберто Панис-Мондольфи сегодня посвятили себя подготовке врачей в Венесуэле. «Обучение венесуэльских студентов – одна из главных задач нашего научного инкубатора. Для успеха борьбы с инфекцией чрезвычайно важно, чтобы медработники на местах могли выявлять случаи заболеваний и своевременно информировать пациентов». Доктор Блом общается со студентами по «Скайпу» и «Вотсапу». Она обучает их лабораторным и аналитическим навыкам, демонстрируя снимки образцов на своем компьютере. «Доктор Блом стала для нас проводником в мир вирусологии, особенно в области арбовирусов – таких, как Зика, лихорадка Денге и желтая лихорадка», – рассказывает студент-медик Альфредо Перес-Гарсиа. Как отмечает Панис-Мондольфи, этот дистанционный лекторий во Флориде помогает венесуэльским студентам получать необходимые знания даже при отсутствии лабораторного оборудования. «Если бы наши студенты попали лабораторию Габриэлы в Соединенных Штатах, они быстро надели бы перчатки и взялись за пипетки», – подчеркивает он. Врачи и студенты надеются, что в конце концов – в Венесуэле – у них будет настоящая лаборатория с настоящим оборудованием. А пока, опираясь на новые технологии, они нашли выход из трудной ситуации и продолжают свою медицинскую подготовку.